I had a real hard time finding lunch. It seems like everywhere I wanted to go decided to close. My first attempt was Conrad’s College Town Grill. Since the kids are on break, they weren’t opening until 7 PM. My next attempt was Ramon’s, but they too were closed. I was frustrated at this point and just started driving. Somehow, I ended up in South Lansing near where we used to live. I was just going to hop back on the Interstate and go find fast food or something back near MSU. As I was making my way down Cedar, I noticed a new restaurant behind the Pizza Hut. Yay! 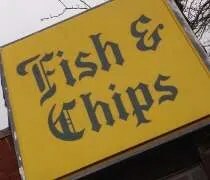 New restaurant. 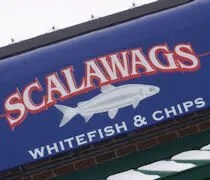 Scalawags White Fish & Chips is a small Northern Michigan chain. 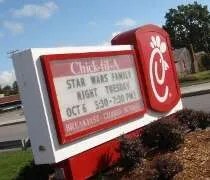 They have three stores now in the Lansing area. The newest location is on Cedar Street in the strip mall at the corner of Edgewood Boulevard. It has to be a fairly new joint. It wasn’t there when we moved from Lansing three months ago and there was no indication that anything was moving in to the space. Back when we lived in Lansing (a whole two months ago), I accepted a lot of work at MSU thinking I was only going to have a five-minute commute. Things changed suddenly and I really didn’t want to give up the work, but now, my commute was going to be over an hour. When I work multiple days in a row, it’s not really worth driving back to Kalamazoo. By the time I get home, it’s bed time then I have to turn around and drive back. I tried Pricelining hotels, but that’s impossible on a football weekend, so I just went to Hotels.com and took the cheapest room I could find. I was staying two nights, so that was a good chunk out of my pay for the weekend. When it came to meals, I did my best to get by as cheap as I could, but still leave satisfied. When lunch rolled around on Thursday, I immediately thought of a desolate shack on Michigan Avenue that I was always interested in trying but afraid to drag J to. I didn’t really know what I was going to find, but I assumed it would be cheap, quick, and it put off one of the fast food chains for one more meal. Getting closer. The final day of our honeymoon started awfully early in the morning. We got up and got going because we wanted to go apartment hunting in Kalamazoo. Since it was still a four hour drive from Indianapolis to Kalamazoo, we got on the road early. Two chains in a row. I know what you’re thinking. And to make things worse…a KFC? Again, I know, BUT this isn’t just any KFC. It’s the original KFC. 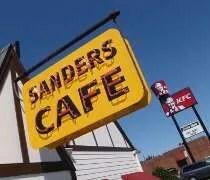 The Sanders Cafe & Museum is on US 25 West on the outskirts of Corbin, KY. It’s not in a highly developed area. It sits along a two lane road right next to a gas station. Ever since my first trip to the region in 2006, I’ve wanted to stop, but usually my travel companions aren’t as excited about it as I am. 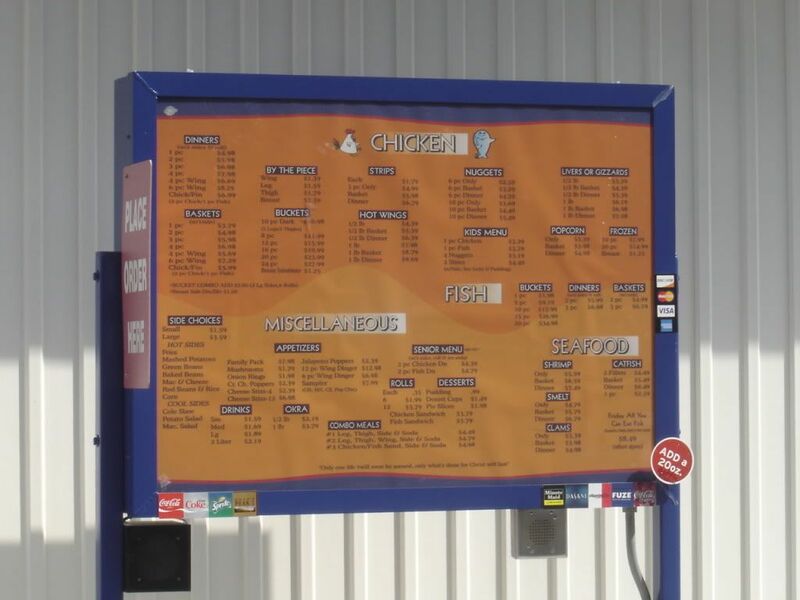 This time, I had J and I knew she would enjoy, so we pulled off the Interstate and followed the signs to chicken. First day back in Chicago and J and I had a lot of errands to run. We got up early to take care of our first major task at the Cook County Courthouse in Bridgeview. After that, we needed to run to Joliet to see my grandma. By the time we left her, it was lunch time. 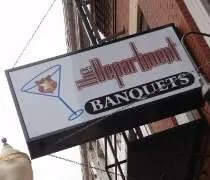 I lived in Joliet for four years and there wasn’t much reason to ever go downtown. Things have changed a lot in the last seven years. They’ve brought in a great Independent League baseball park and the Harrah’s Casino has invested a lot of money downtown. With the influx of things to do, the dining scene has picked up dramatically. In June, J and I went to a Joliet Jackhammers game with my parents. They wanted to eat at the only reason there was to go downtown when I was there..Chicken ‘N Spice, but on our trek through town, I noticed a number of restaurants that I tucked away into the ol’ memory bank should we ever get back to Joliet. Football season finally begins for me. My first game of the season is back in Illinois, so I hit the road again to make the trip home. Once again, it was after lunch when I was going through Kalamazoo and I was getting hungry. I held out until Paw Paw though because there was a chicken shack I ate at last year that had relocated and I was curious to see how things changed. My first encounter with the Chicken Coop was in the spring of 2008 not long after J and I moved to Michigan. I was heading back to Champaign for work and stopped to get gas. 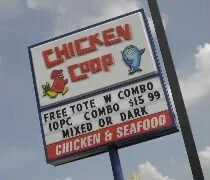 I noticed the restaurant and got chicken for the road. Similar situation on this trip except the location I stopped at last time is now a Walgreens. 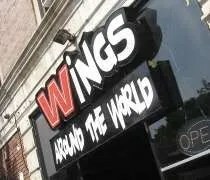 Wings Around the World on E. 75th in Chicago. Back in May when J and I got engaged, the first thing out of my brother’s mouth was, “Where do you want to do the Bachelor Party?” I chose a baseball game. I knew right away what I wanted to do. Like every other time that I go somewhere with a group of people, my goal is to bring as much local flavor to the party as possible. We decided on pizza for after the game, but we needed some tailgate food. BBQ was thrown around as was hitting up a bar near the park, but I eventually found a wing joint not too far away that got rave reviews on Yelp.com and Google. It had been voted best wings in Chicago and I believe I saw the place on a Travel Channel show (although I can’t remember which one). Wings Around the World is on 75th Street at South Eberhart Avenue. It’s strictly a carry-out place with a small store front along the commercial district in this particular neighborhood. My brother called on Friday to see if we needed to pre-order since we were putting in a pretty large order. The guy he talked to said no, just call right at noon when they open.